.95" x .98" x .29"
This ring is with rough Diamonds, orange Sapphires. 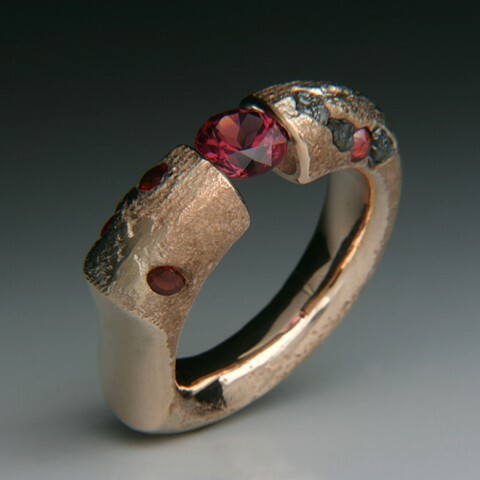 The tension set stone in the center is a 5.9mm .96ct color shifting Garnet. There is a single side scoop for comfort on the thicker side of the ring. This ring is made of my own custom blended alloys which I call Robonium. please convo me about sizing; this ring cannot be sized. I will make one for you. I can also make one with Diamonds, Rubies, Emeralds and or Sapphires at an additional cost.